A creative, economic solution to add roofing character by waterproofing and adding a decorative stone finish . 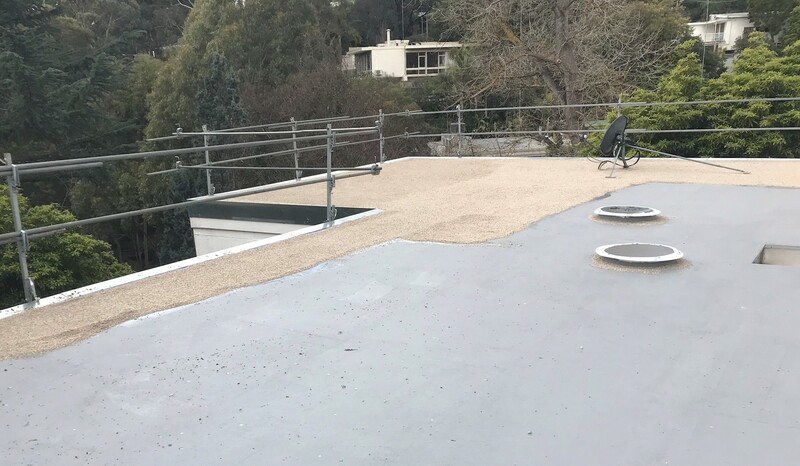 This is a project example demonstrating the application of a trafficable waterproofing membrane system (MICROL), with the customer requesting an economic decorative surface. We recommended binding paving stones as the finished decorative surface. Follow the links to the brochure for full details.